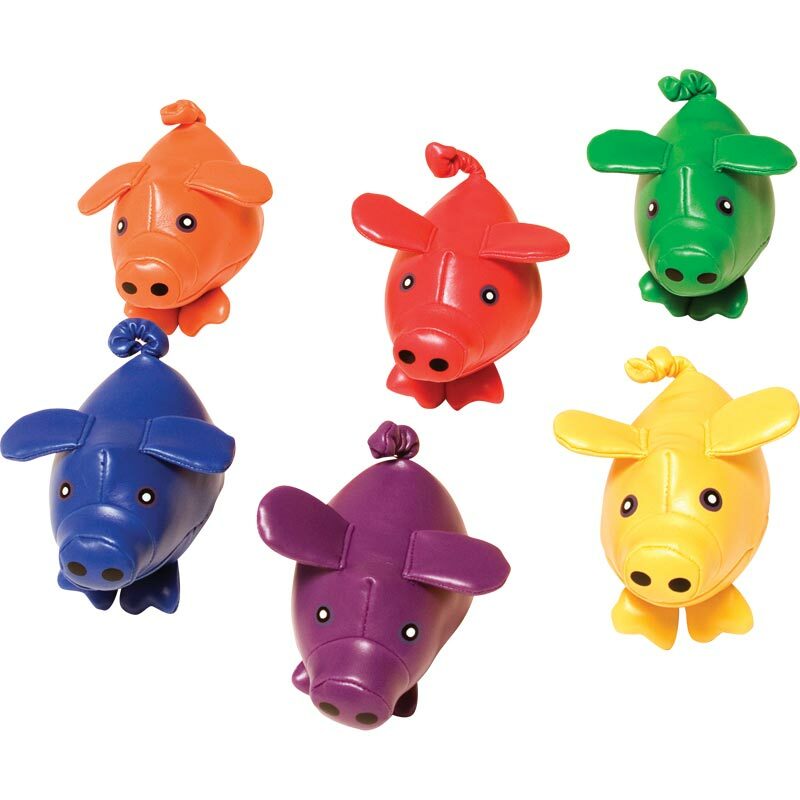 PLAYM8 ® Bean Bag Pigs 6 pack are perfect for young children to play with in parachute games or for simple throwing and catching practice. The toys can also be used as funky relay batons. These brightly coloured stuffed latex rubber toys are great fun. Can be easily identified by colour in races or when in use with other equipment. With their soft texture they are great for throwing and catching. Can be incorporated into into many activities and target games. Each toy is 20cm long.